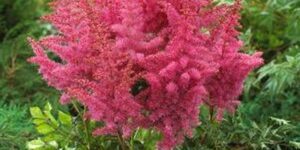 The Astilbe ‘ Sprite’, Astilbe simplicifolia, was the Perennial of the Year in 1994 and one can see why. 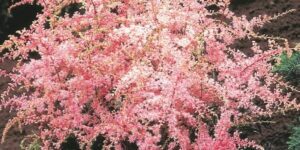 With its wonderful apple blossom light pink flowers and dark bronze foliage with crinkly edges, it is defiantly an eye catcher. 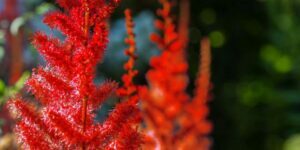 The rust-colored seed heads are also attractive in the fall. 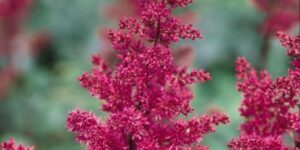 Astilbe ‘ Sprite’ blooms in mid-summer and is 12 ” tall and a plant width of 10-12 ” , being the smallest Astilbe in its family Do not allow Astilbe ‘ Sprite’ to dry out. 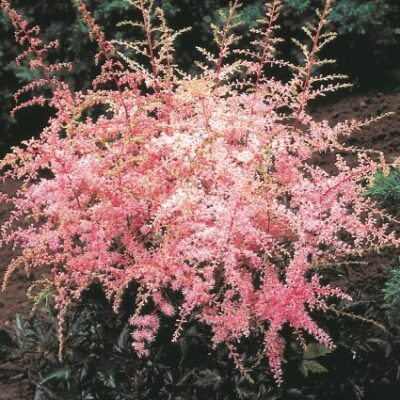 It is most successfully grown in a shady area but can tolerate some morning sun. 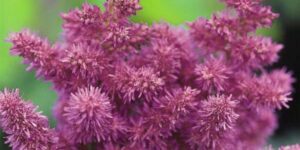 A moist, well-drained area is key for this plant. 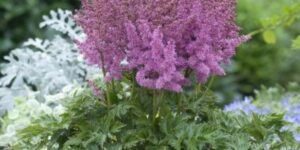 Astilbe can be used as cut flowers, perennial borders or shade gardens with Hosta’s and Ferns. 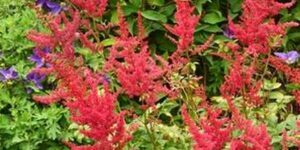 Astilbe is considered to be deer resistant and will attract hummingbirds.